Equilibrium moisture content is ideally measured in a bore hole in the material. 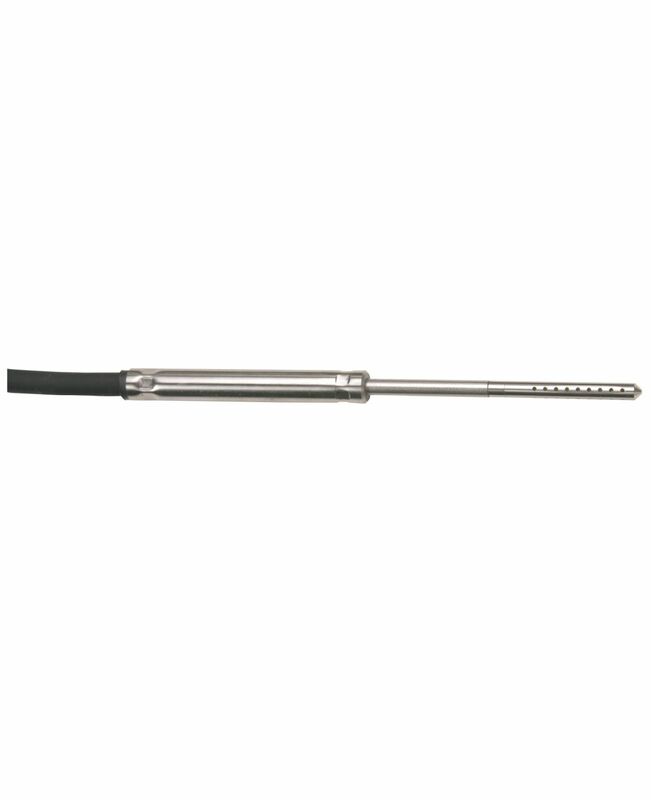 The thin humidity probe with a probe shaft diameter of 4 mm (connected to an appropriate measuring instrument) is good to use here, so as to keep the bore hole as small as possible. It should be protected against contamination by a PTFE cap during measurement. The bore hole can easily be sealed with adhesive modelling clay. The attached measuring instrument (testo 635) automatically calculates the material moisture based on the measured equilibrium moisture content and shows this in the display. The material moisture calculation is available for the following materials: concrete, high-insulation brick, solid brick, hard wood, soft wood, aerated concrete, particle board, calcium sulphate flowing screed, cement flowing screed and lime sand brick.